I Have Limited Tort And Can't Recover After Car Crash. Is That Right? Home » The Law & You » I Broke My Leg in a Car Accident. I Have Limited Tort And Can’t Recover. Is That Right? I Broke My Leg in a Car Accident. I Have Limited Tort And Can’t Recover. Is That Right? A viewer was injured after a driver ran a stop sign and crashed into his vehicle. The insurance company says he can’t recover because he has limited tort. Is the company correct? Car accident lawyers Greg Fellerman and Ed Ciarimboli tackle the situation. 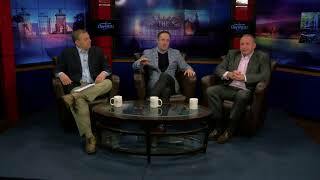 Dave Kuharchik: We’ve got a scenario involving a car accident for this edition of “The Law & You.” Back with us today is attorneys Greg Fellerman and Ed Ciarimboli. Good to see you guys. Ed Ciarimboli: We’re ready, Dave. We’re ready for this one. Let’s do it. Ed: No. But do not have limited tort. Limited tort means you’re giving away your rights. It means you’re giving away your right to pursue a case when you are hurt. So in this particular case, being that you broke your leg, you’re going to get over that threshold. That threshold that takes you from limited tort to full tort is that you have a serious bodily impairment. Serious bodily impairment, the broken leg, should get you over that threshold, but you’re going to have to fight to get over that threshold. And ultimately, that’s going to be a question in your trial. If you’re full tort, it’s not even a question in your trial. But can you get limited tort with that, I think you can but it still becomes an issue in your case. Greg Fellerman: True and the other thing too with these limited tort cases is, believe it or not, a lot of people have limited tort for whatever reason. And I encourage everybody if you have an accident and have limited tort, still pick up the phone and call us. Because we work on some of these files and we’ve had some very good results in them. Although they’re more difficult, we have successfully resolved a lot of them. So don’t think you don’t have a case. I mean, you got to pick up the phone, and there’s ways we can help you build your case to overcome that limited tort threshold. Pick up the phone and call and we’ll help guide you through it. And usually we get some good, decent results. Ed: No question about it. Greg’s 100 percent right. You got to pick up the phone and call, even if you have limited tort. Because the reality is, you don’t know. And if you don’t do the things that are going to be necessary to pursue your case and protect your rights, then you’re not going to be able to make a recovery. Greg: And don’t listen to your insurance company. Dave: The number is on the bottom of the screen. So is the website. Of course, results matter with attorneys Greg Fellerman and Ed Ciarimboli. Thanks, guys. Greg and Ed: Thank you.